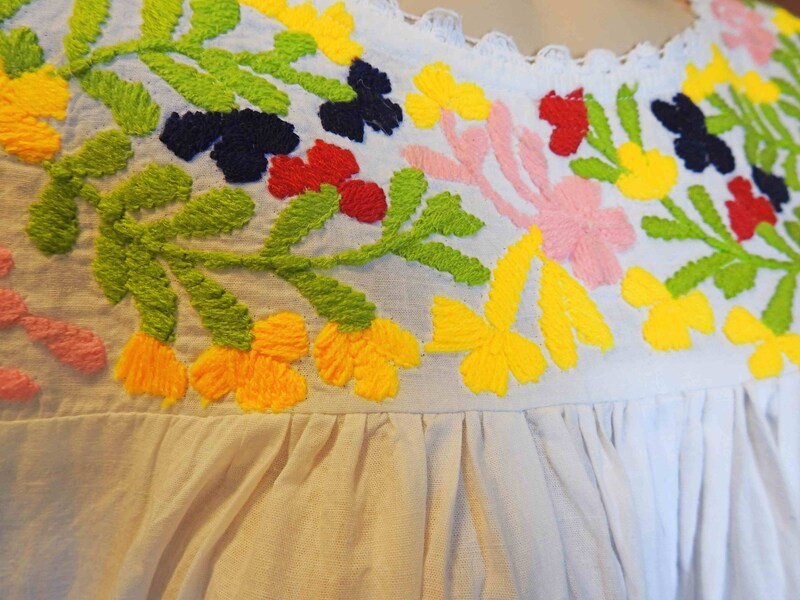 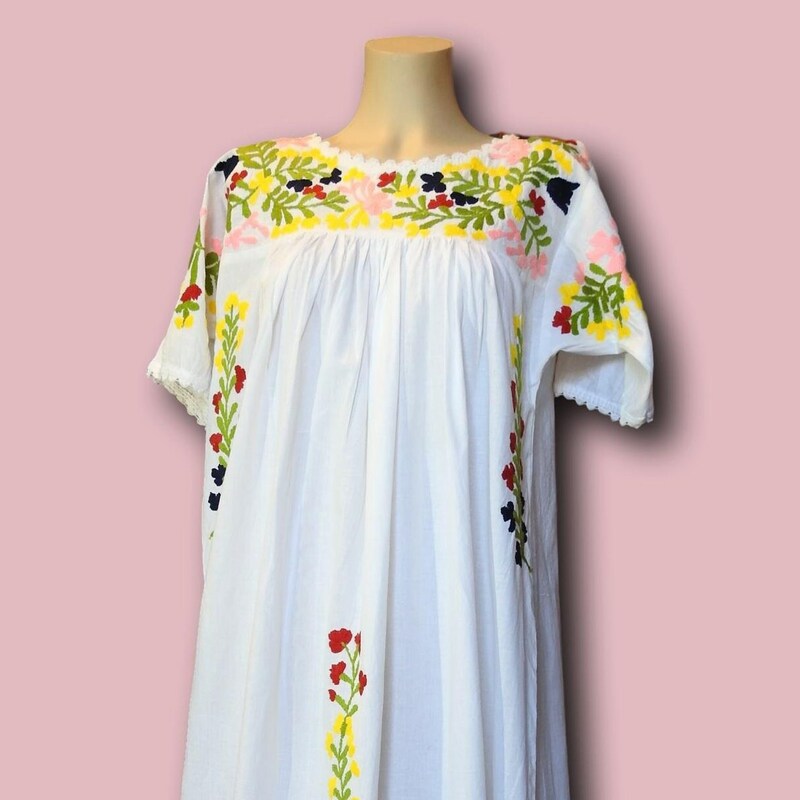 This long Mexico dress will be the gem in your wardrobe closet! 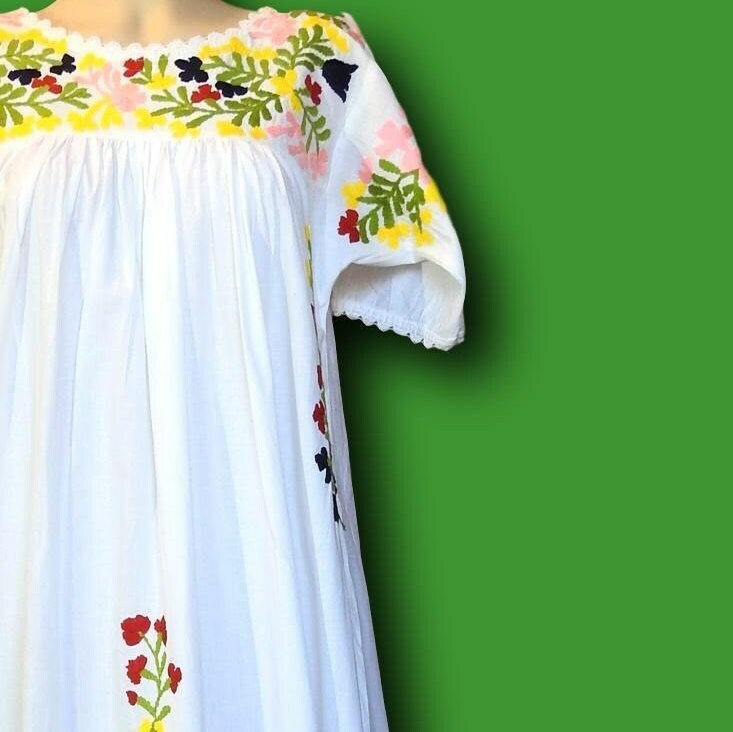 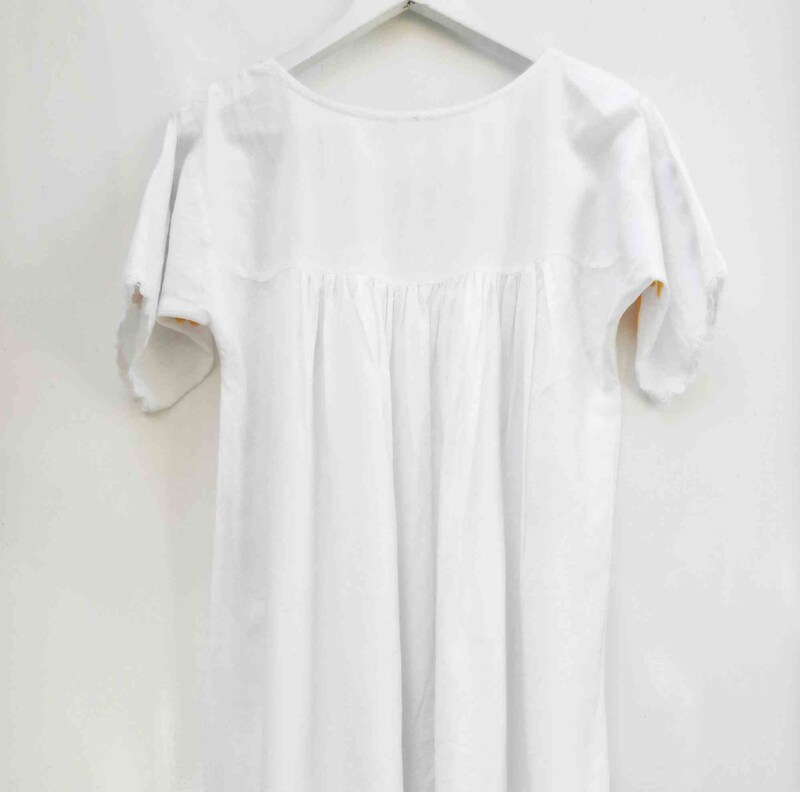 Looking for cute white vintage style 70s maxi dress? 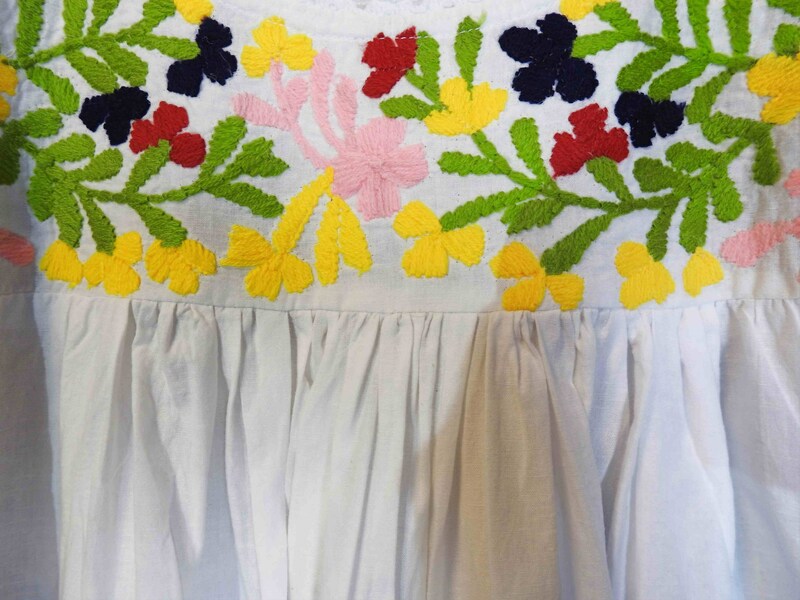 Fall in love with the patterns of this Mexican inspired maxi dress with a unique and white French lace trim. 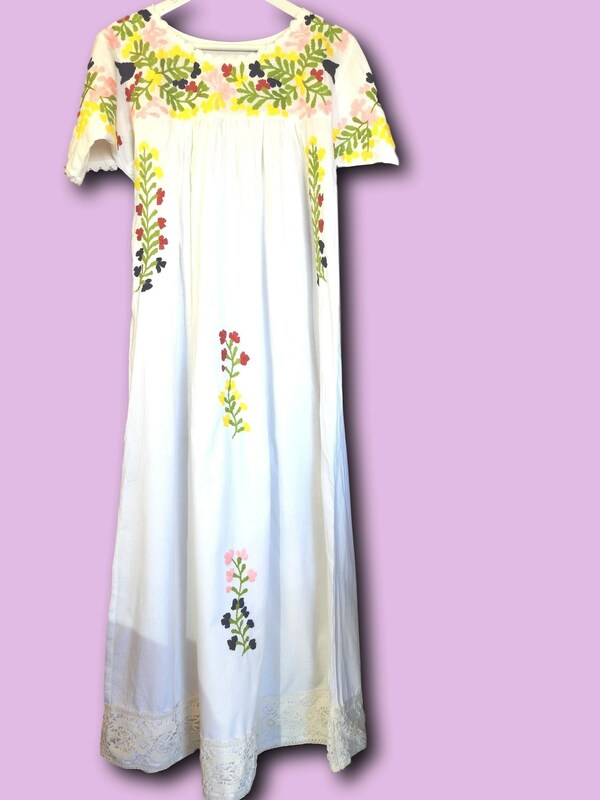 This listing is for ONE long flowy hippie chic dress. 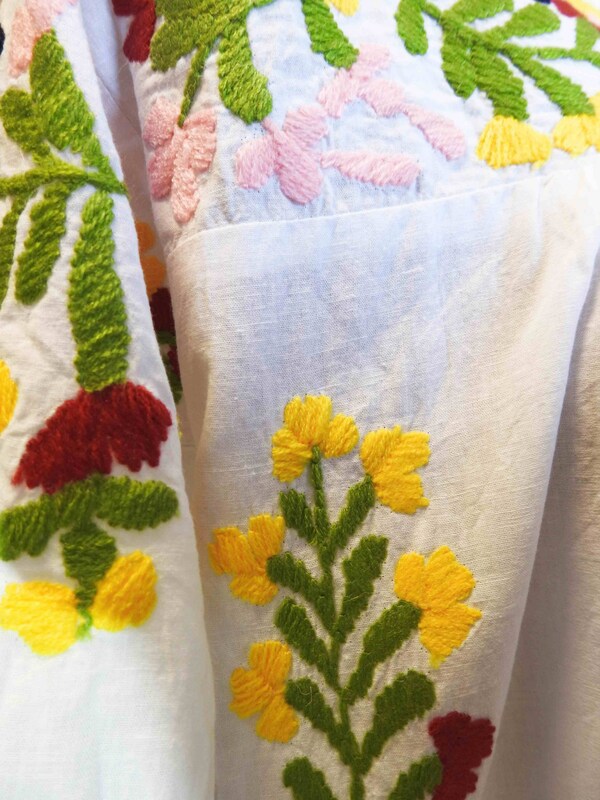 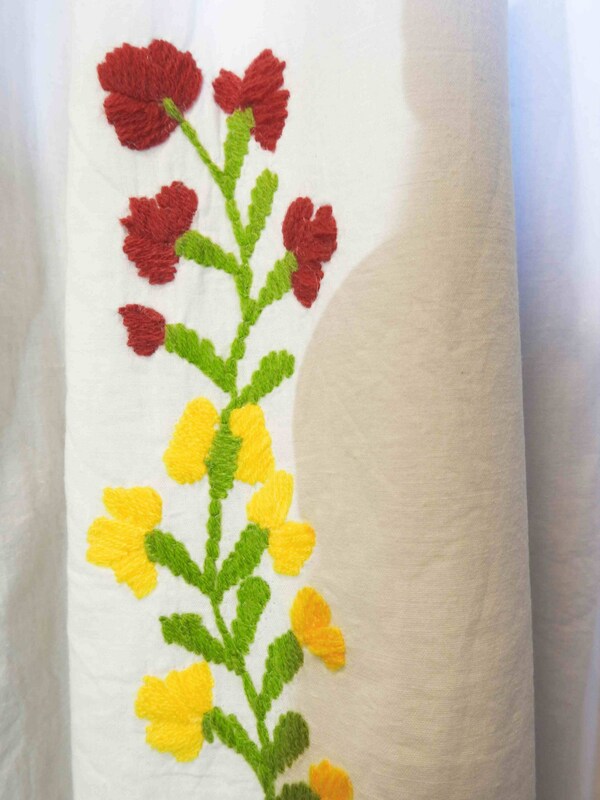 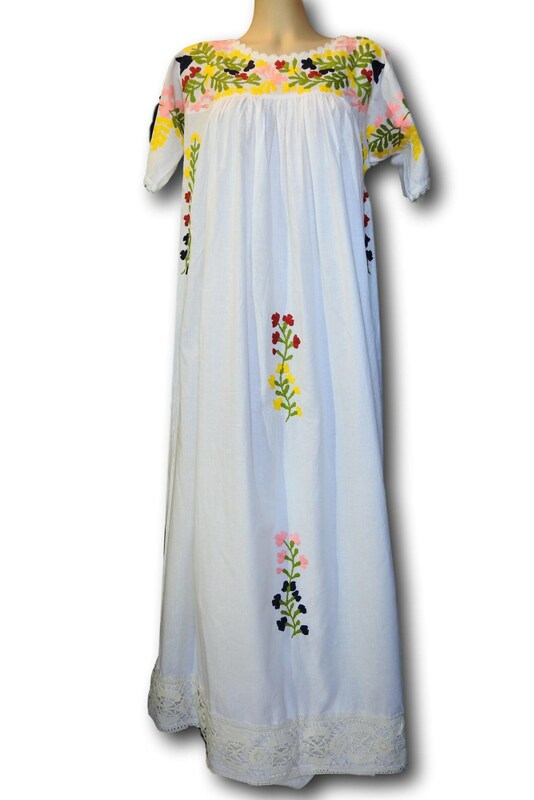 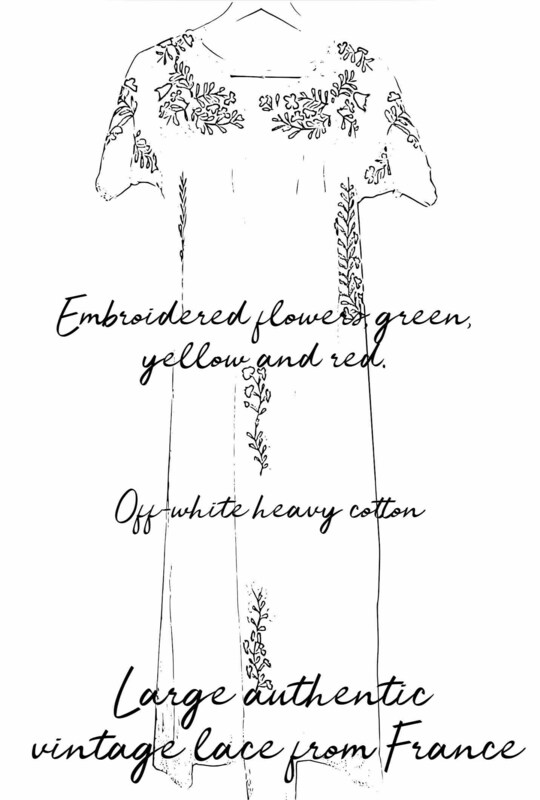 Thank you for exploring this incredible white and yellow embroidered handmade long dress!